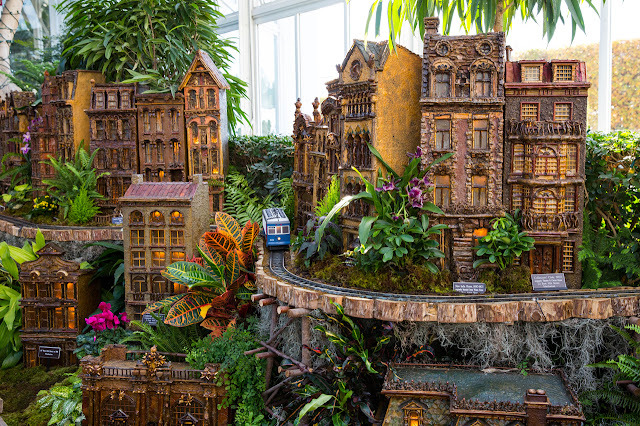 Enchanting model trains zip through a display of 150 landmarks, each re-created with bark, leaves, and other natural materials—all under the twinkling glow of the Enid A. Haupt Conservatory. Marvel at G-scale locomotives humming along among familiar sights such as the Brooklyn Bridge, Statue of Liberty, and Rockefeller Center—surprising at every turn—on nearly a half-mile of track. This year’s exhibition features 3,000 square feet of additional exhibition space, making room for dozens of new trains, bridges, and tracks; a captivating short film of the show's behind-the-scenes magic; and a stunning multi-sensory finale of light and sound. *Advanced reservations are strongly recommended.